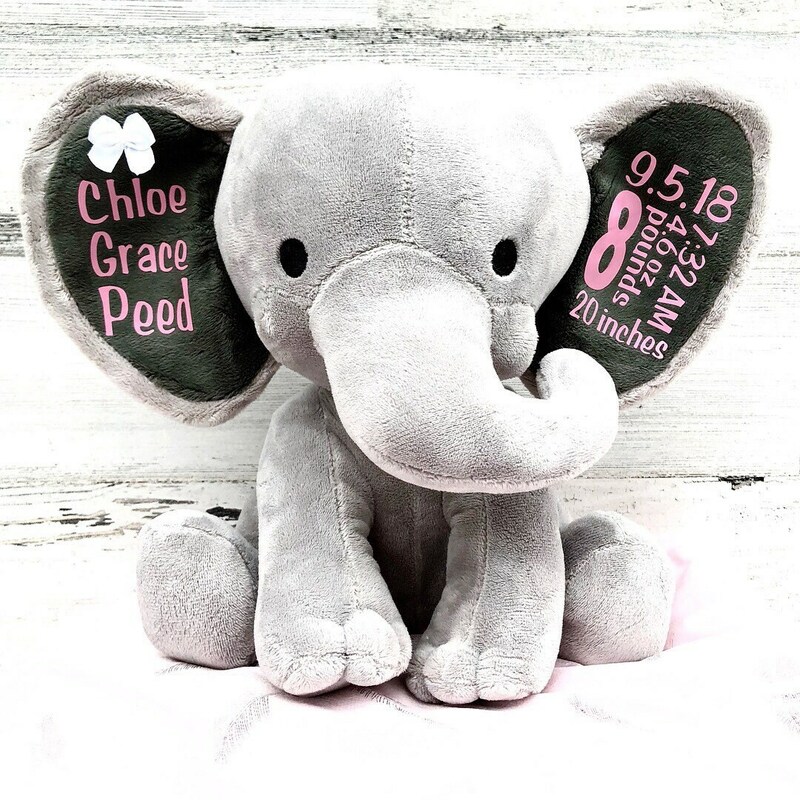 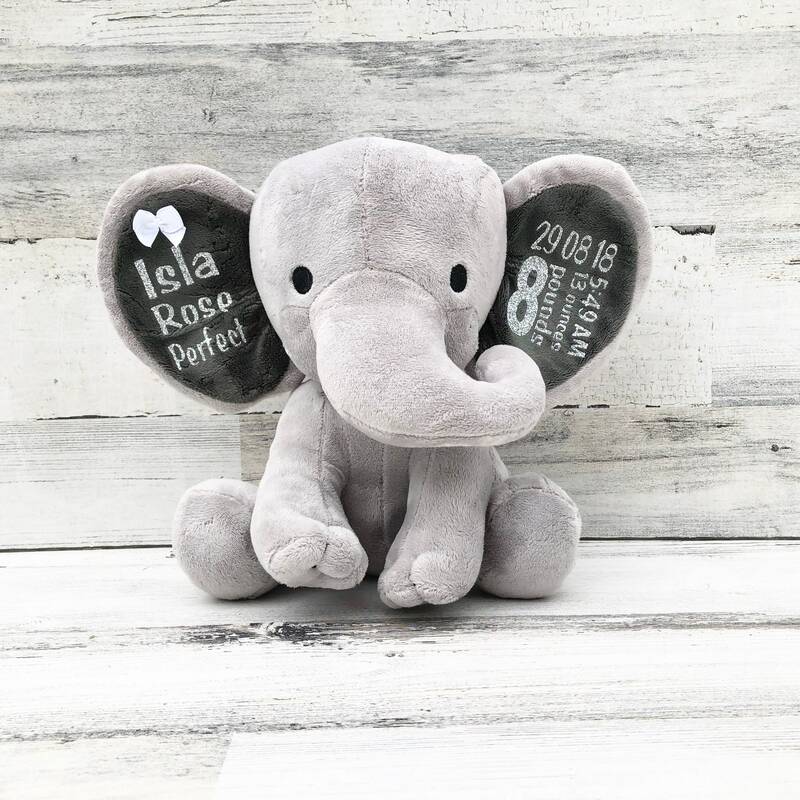 This Large or small Plush Elephant is the perfect addition to the nursery. 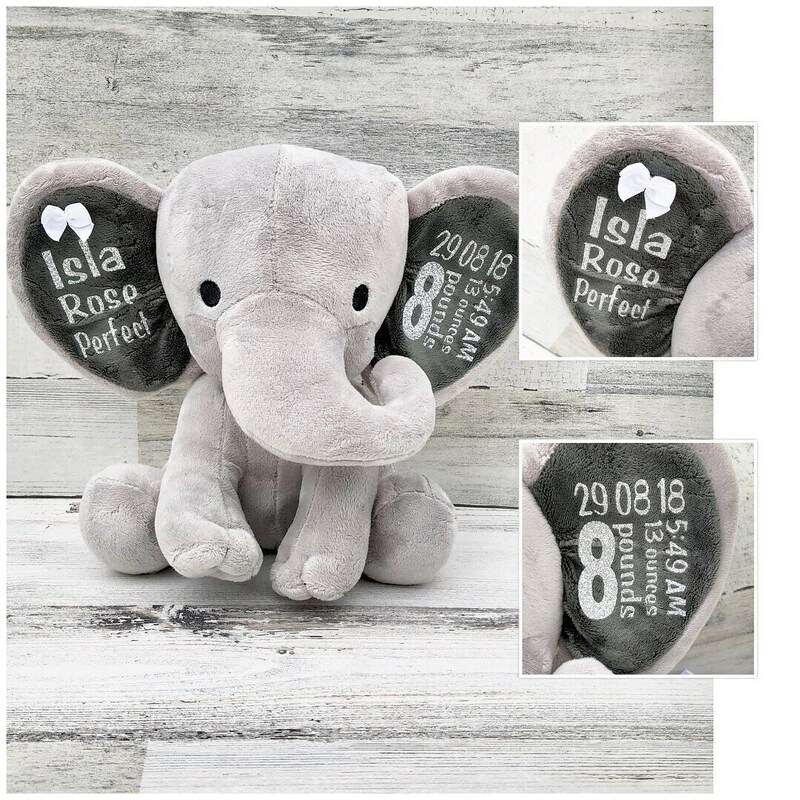 Baby Statistics and full name as a keepsake to treasure forever. 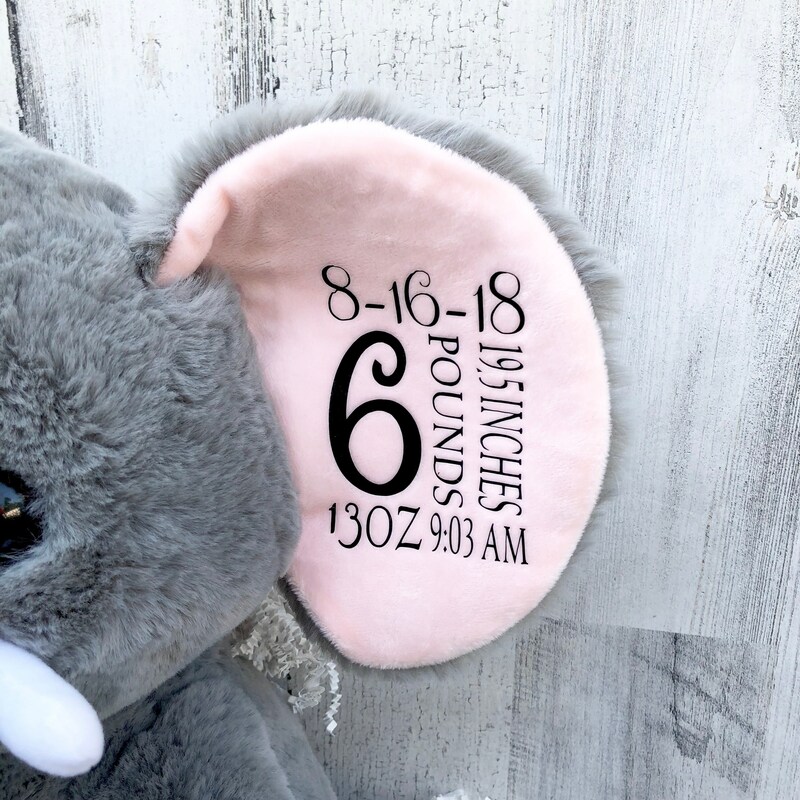 Small elephant measures 10 inches tall by 8 inches wide when sitting. 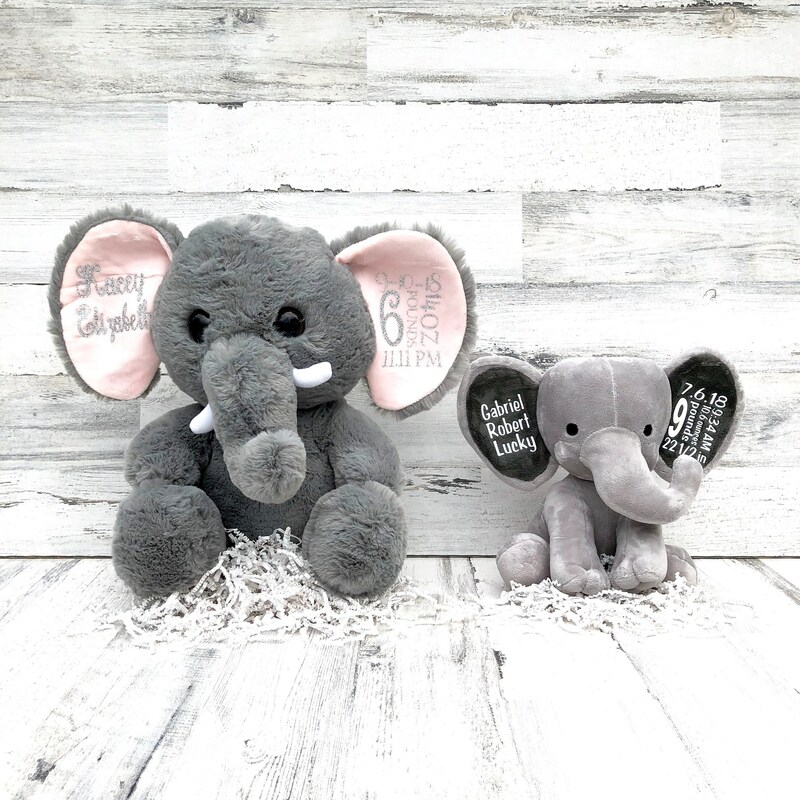 Large Elephant Measures approximately 14 inches tall and 12 inches wide when sitting.